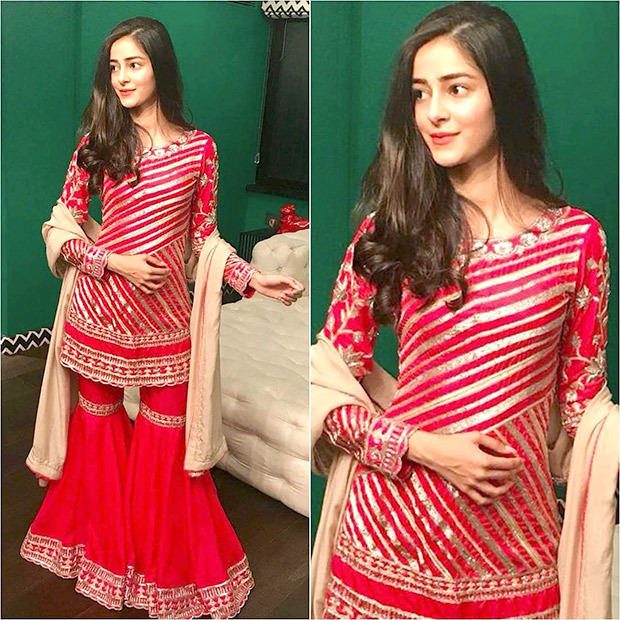 Ananya Panday is all set to make her big debut opposite Tiger Shroff and fellow newbie, Tara Sutaria in Karan Johar’s Student of the Year 2. 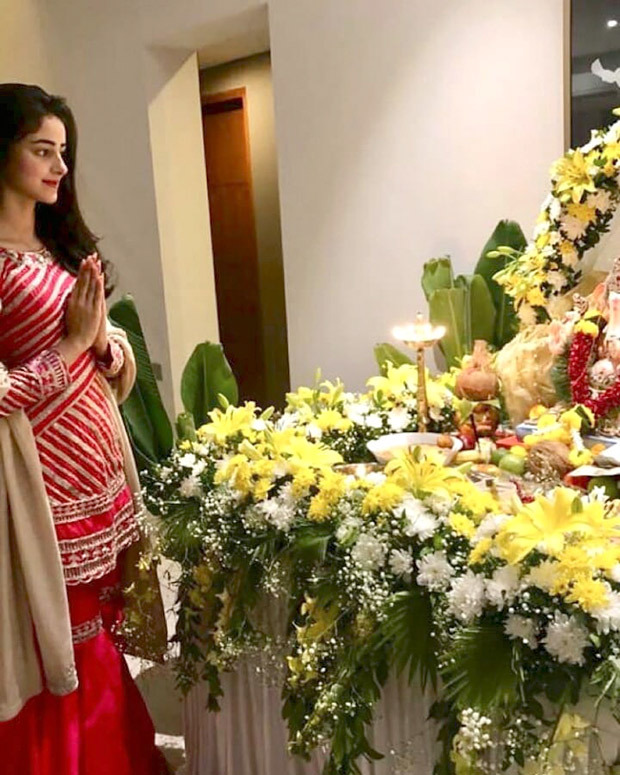 Ananya Panday got into the festive fervour for the extravagant Ganesh Chaturthi celebrations at the Ambani’s. Styled by feted Manish Malhotra in one his stunning pink creations, Ananya sauntered with simplicity and beauty in tow. 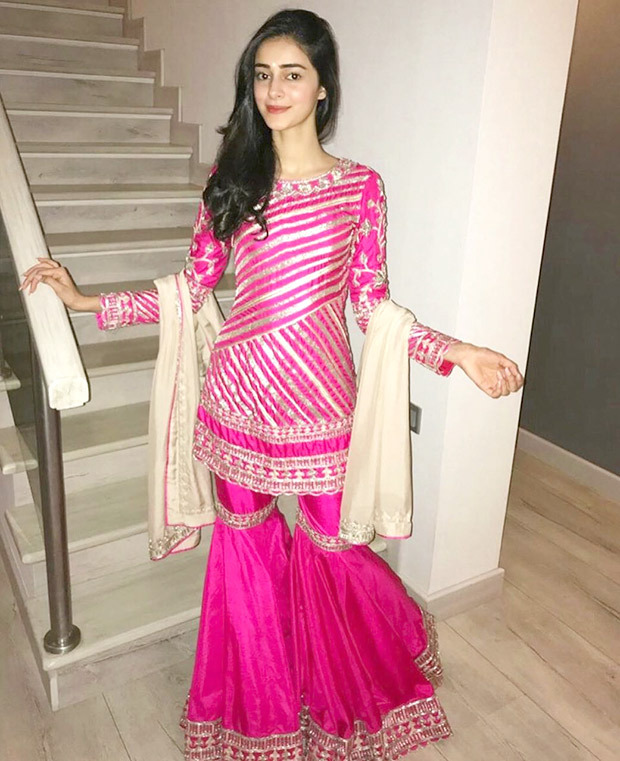 The ensemble featured a pink sharara set with antique silver and thread work. An ivory coloured dupatta completed her ensemble. Ananaya allowed ample attention to her ensemble with minimal makeup and side-swept wavy hair. Student of the Year 2 or SOTY 2, directed by Punit Malhotra is a sequel to the 2012 film, Student of the Year. It is scheduled to release on May 10, 2019.